The limbs were fitted at the Children's Hospital of Fudan University with the help of a special fund. Wenchuan earthquake survivor Wang Guangxing shakes hands with Dr Wang Dahui with his prosthetic arm at the hospital. 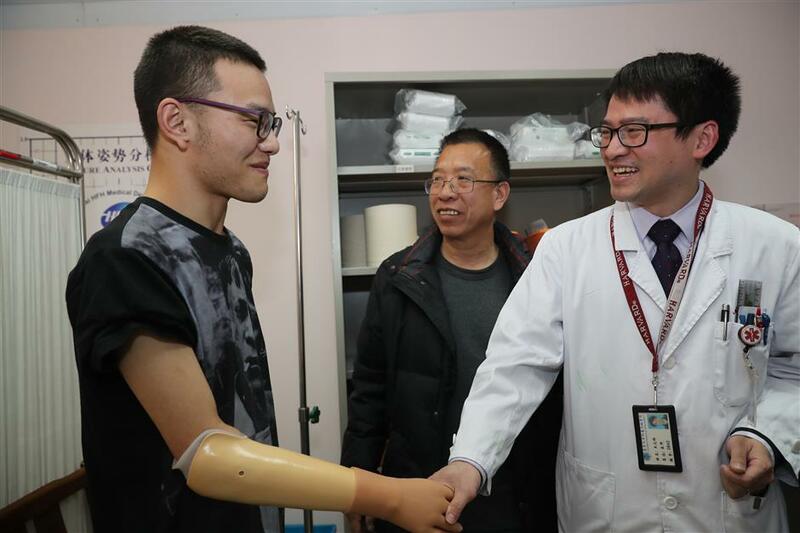 Four victims who lost arms or legs were fitted with prosthetic limbs yesterday with the help of the Children’s Hospital of Fudan University and a special fund, the hospital said. The four are two 21-year-old survivors from the 2008 Wenchuan earthquake, a 10-year-old boy suffering from fibrosarcoma and a 7-year-old boy who was in a car accident. The earthquake survivors, Wang Guangxing and Li Wenqian, were sent to the hospital with another five children 10 years ago for treatment. Though they later recovered from their injuries sustained in the earthquake, Wang lost part of his right arm while Li lost her right leg. Last year, a special fund of Shanghai Soong Ching Ling Foundation donated 500,000 yuan (US$79,260) to the hospital to help young amputees from poverty-stricken families. The hospital then found a prosthetic limb producer and customized prosthetic parts for the four recipients. 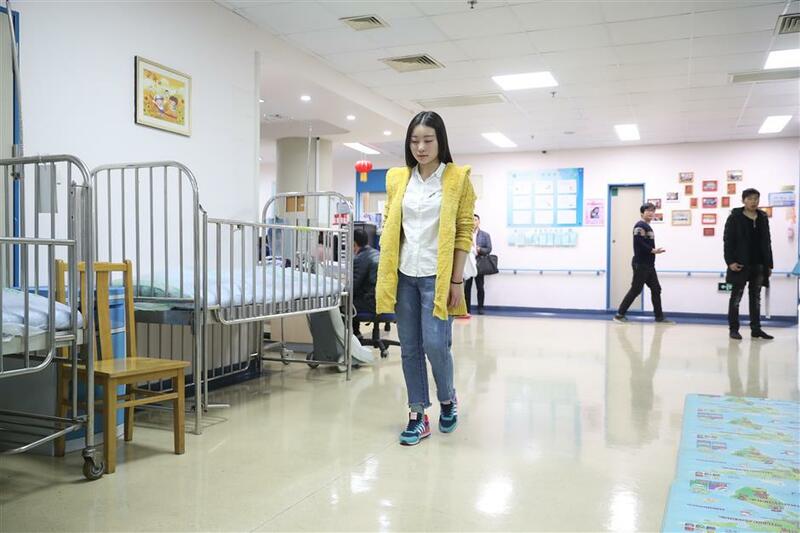 Wang Dahui, director of the hospital’s orthopedics department, said that every year the hospital performs 4,500 orthopedic surgeries on children, and 10 to 15 percent of the patients were those who were severely injured in incidents like car accidents. It also annually receives 1,000 children from across the country for treatment. The hospital has set up nearly 50 funds to help children suffering from different diseases since 2002, and over 6,000 patients have been helped, said Fu Lili, a hospital official. 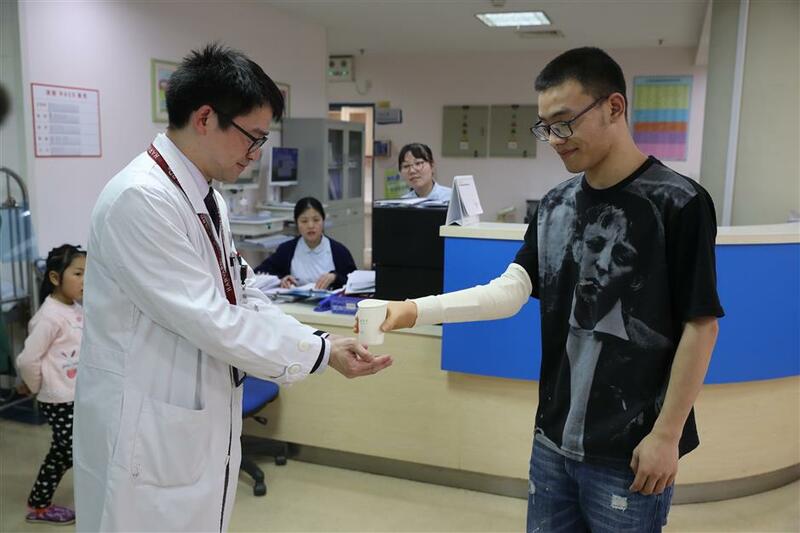 Wenchuan earthquake survivor Wang Guangxing uses his prosthetic arm to hold a paper cup. Wenchuan earthquake survivor Li Wenqian walks with her prosthetic leg.